Orlando is a contributor to Westlaw Insight and gives seminars and training on Personal Injury and Employment Issues on a regular basis. Orlando acts for both Claimants and Respondents in all areas of employment law representing a wide range of clients including individuals, charities, local authorities, FTSE 100 companies, international banks, Transport for London and the NHS. Orlando has a particular interest in employment disputes arising in a sporting context, and has been instructed in a number of cases involving Premier League football clubs. Employment Appeals Tribunal, from PHRs and CMDs to multi-week trials and appeals. Orlando also has extensive experience of judicial mediation in the employment tribunal. Orlando acts for Claimants and Defendants in all areas of personal injury work. In particular, he has considerable experience of acting in cases involving road traffic accidents (including cases covering LVI, fraud, and credit hire issues), accidents at work, occupiers’ liability, product liability and accidents on the Highway. Orlando has particular expertise in claims arising from accidents involving motorcycles and has contributed to Westlaw’s Insight series on the subject. In addition to advocacy at trial and interim hearings Orlando has a busy paperwork practice drafting pleadings and schedules, and advising on liability and quantum. Orlando frequently undertakes work on a CFA basis. Orlando undertakes Clinical Negligence work on behalf of Claimants and Defendants (whether individual practitioners or NHS Trusts). In addition to appearing in court, Orlando is happy drafting pleadings, advising on prospects all elements of a case, as well as representing clients at Joint Settlement Meetings and Mediations. Orlando appears in inquests on behalf of a range of interested parties. His experience of Clinical Negligence and Employment work leaves him particularly well placed to appear in inquests involving death at work or in a clinical context. Orlando accepts instructions in professional disciplinary proceedings. 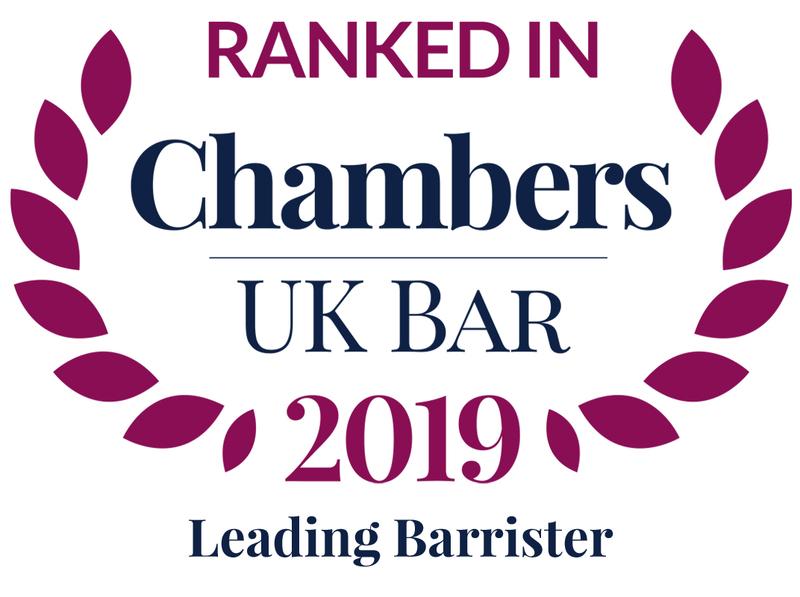 Orlando’s expertise in matters of employment leaves him well placed to represent parties in this context (particularly in the healthcare sector in light of his personal injury/clinical negligence work). Orlando accepts instructions for all types of work involving the Court of Protection. Orlando accepts instructions for professional negligence arising in a full range of contexts for Claimants and Defendants. Orlando acts for both Claimants and Respondents in all areas of employment law representing a wide range of clients including individuals, charities, local authorities, FTSE 100 companies, international banks, Transport for London and the NHS. Orlando has a particular interest in employment disputes arising in a sporting context, and has been instructed in a number of cases involving Premier League football clubs. Represents employees and employers from the transport, education, retail and financial services sectors across all aspects of employment law. He has attained impressive experience at tribunal and appellate level. Representing the Respondent in their successful defence of a claim under the DDA brought by a partially sighted employee in an 8 day trial covering a 6 year history. Representing the Respondent to an appeal against the Tribunal’s finding that the Claimant was not an employee. The case turned on whether there was mutuality of obligation where a contract was terminable at will. Representing Rhapsody in their successful defence to claims brought by three Claimants following an alleged TUPE transfer. The case involved consideration of whether there had been a TUPE transfer and the precise meaning of ‘the same or substantially the same activities’ within Reg 3(1)(b)(ii) TUPE Regs 2006. Acting for a teenaged applicant before the Criminal Injuries Compensation Appeals Panel. P had sustained severe brain damage at the age of 6 weeks when being cared for by her father. After a series of hearings the CICAP accepted that P had been the victim of crime (contradicting the decision made by the police at the time the injury was sustained) and she therefore succeeded in obtaining compensation under the scheme (it being anticipated that she would receive the maximum award of £500,000). by the Defendant, that significant scarring to the child’s head had been caused by the index accident. Advising and representing Mitie in their successful appeal of the tribunal’s decision at first instance that there had been a dismissal of a security officer as a result of a lapse in time between the offer of work following an earlier client request for removal from site. Acting for the Claimant in her successful appeal from the District Judge’s decision to strike out her personal injury claim for failing to serve her witness statement until the morning of the trial. Representing the Respondent in an appeal against the employment tribunal’s finding that A’s dismissal had been fair notwithstanding some procedural irregularities. Orlando has a love of sports (in particular Rugby, Cricket, Tennis, Golf and Darts) and continues his largely unsuccessful playing career in many of them. He is also an enthusiastic cook and a devoted father.